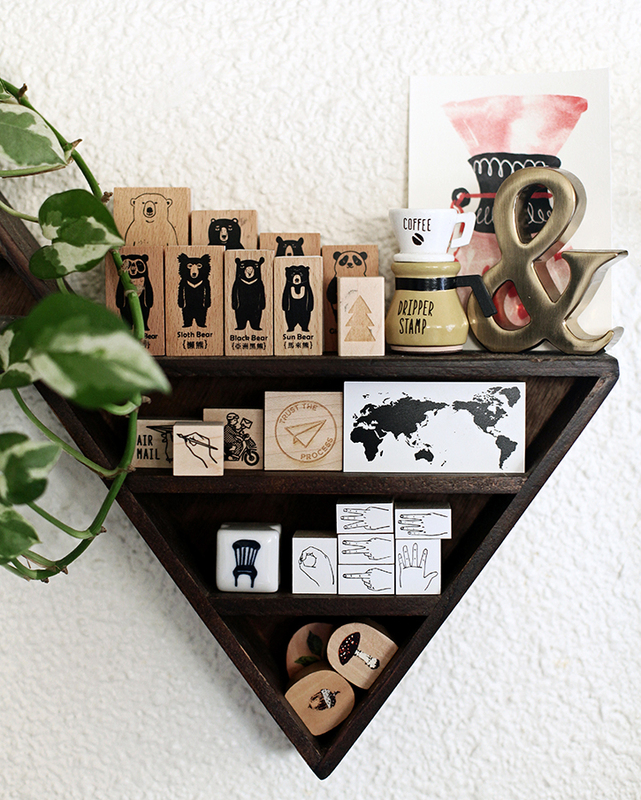 Home » Love for Analogue Stories » Jen Hackler // A well oiled analogue system to run business and life! I am always incredibly excited to share another small business owner's perspectives and how they use their analogue system to make their workflow more efficient and effective. In so many ways, I can relate to Jen's story. Whether you run a small business and/or a household full of little ones, I hope her story inspires you! Jen Hackler grew up on the island of Oahu in Hawaii from the age four until she was twenty-three. At that point, she moved to Long Beach in Southern California where she currently resides. 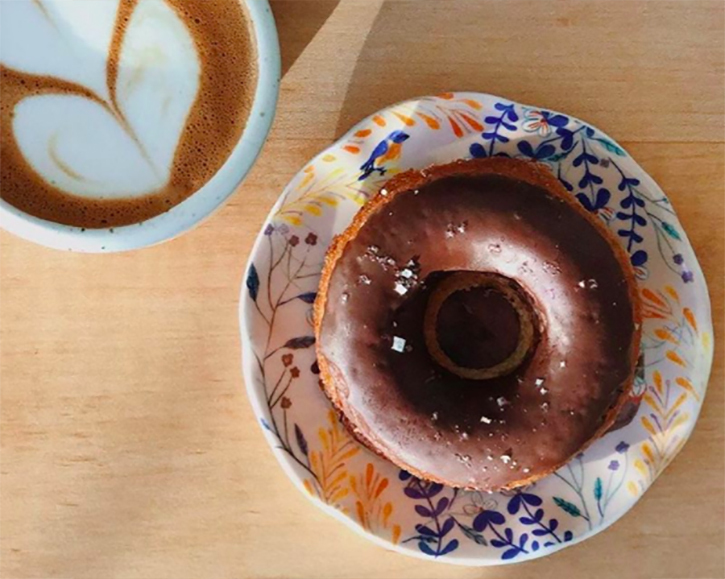 Long Beach is an amazing community-oriented city that inspired Jen to create The Caffeinated Kitchen in 2012, a small-batch bakery that specializes in baked vegan donuts. 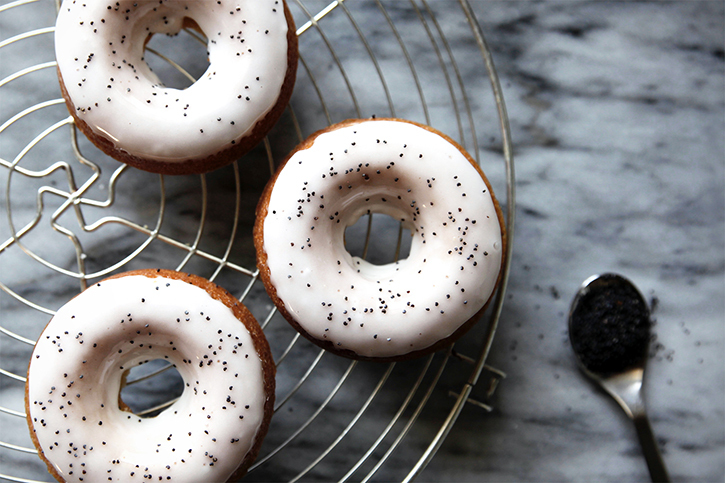 Her amazing donuts are for sale in over twenty coffee shops in the Long Beach, Orange County, and Los Angeles area. 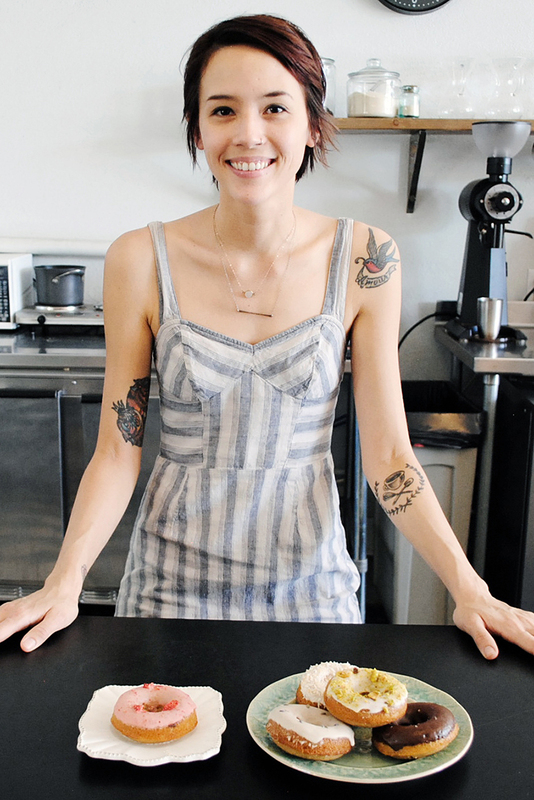 Jen attributes the creation and growth of The Caffeinated Kitchen to the Long Beach community that actively supports local small businesses. She used planners all through school until smartphones with calendars started to gain popularity. She spent five years using her phone for scheduling and tasks. When she started her business, the process of switching between apps and calendars and syncing information became too much. 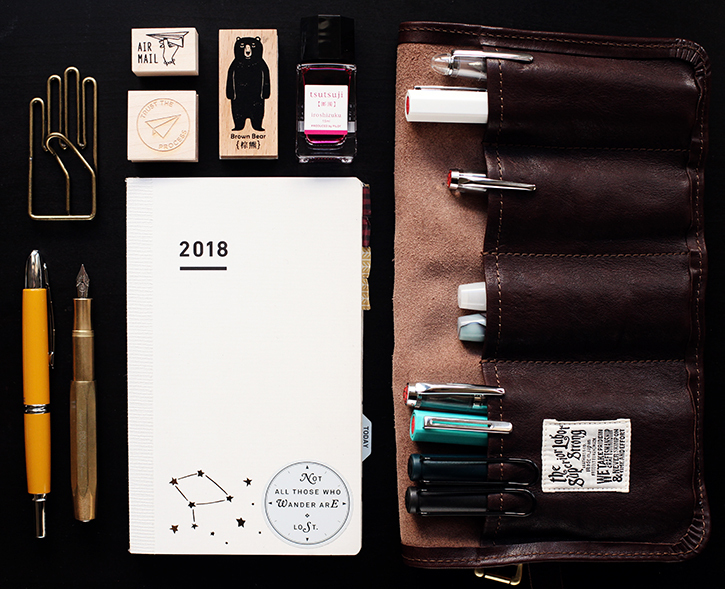 She felt the need for a tangible system to get organized, but none of the planners she found on the market fit her very specific needs. 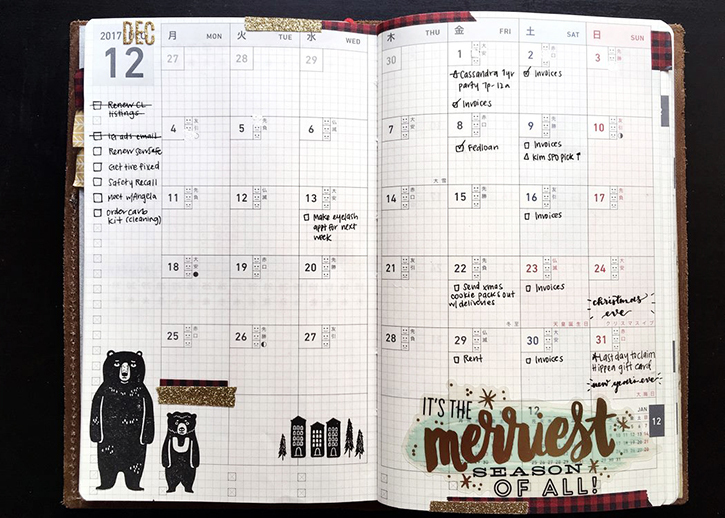 She then discovered Bullet Journaling and created her own spreads in a Leuchtturm 1917 A5 dotted notebook. As her business grew she had less time to draw her spreads each week and began the search for planners that would meet her needs. Jen’s always been organized and has a tendency to want to archive things. She prefers analogue because it doesn’t go away with the click of a button – the record/evidence of the original is still there. For Jen, physically writing something down helps her brain process whatever she’s writing in a way that typing doesn’t. I feel anxious when there are important things I need to remember, my brain goes into hyperdrive, playing the things on a loop lest I forget. 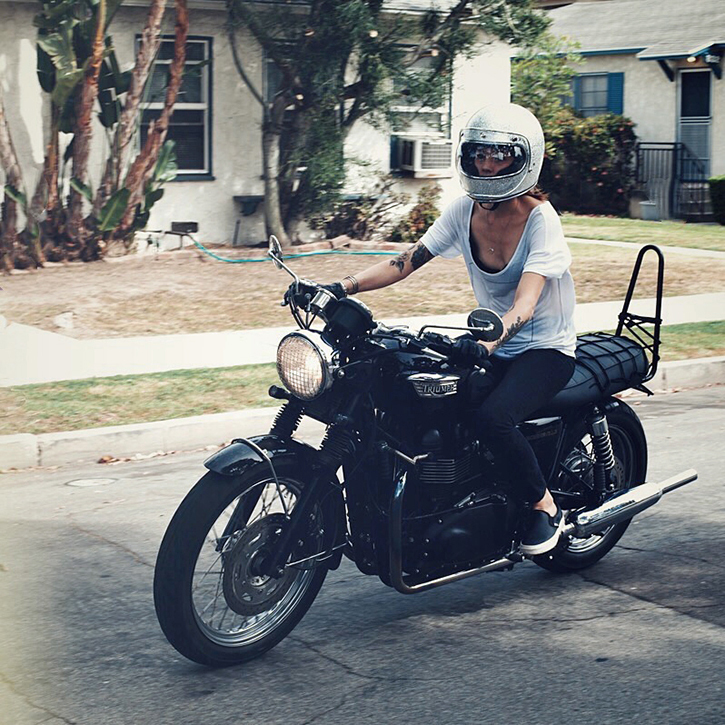 Jen has two separate analogue systems – one for work and one for personal. 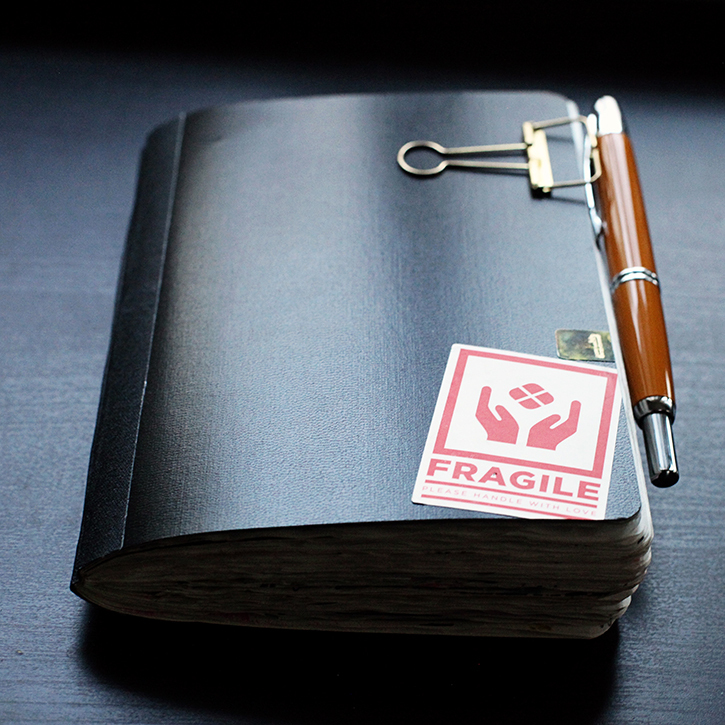 She uses her work system (a Leuchturm1917 Master notebook with dot grid) to plan delivery and billing. 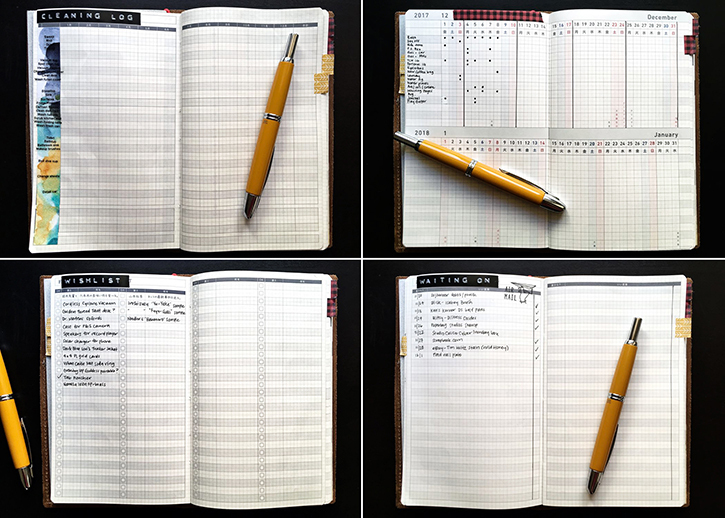 She has set this system up in a Bullet Journal style with monthly spreads, lists, a calendar, and accounting information. Everything is color coded and each account gets their own color. Jen uses Quickbooks to digitize all of the sales information for tax purposes, but the original spreadsheets are all analogue - much to the dismay of her entrepreneur friends who think she’s crazy! Because she works for herself, her work and personal life are often intertwined. She uses her personal system (a Jibun Techo Biz Mini) to create weekly and daily task lists (both work and personal) and to track things like water intake and days off - though admittedly those have been few and far between lately. She also uses it for forward planning on special events, due dates and to track personal expenses. Since the Jibun Techo is a new acquisition, she started out by personalizing the pages she needed right away with stamps, stickers and washi tape. She has repurposed some of the random trackers (Favorite Phrases anyone?) for trackers she does use such as Cleaning Log, Waiting On list for online purchases, Wishlists, etc. 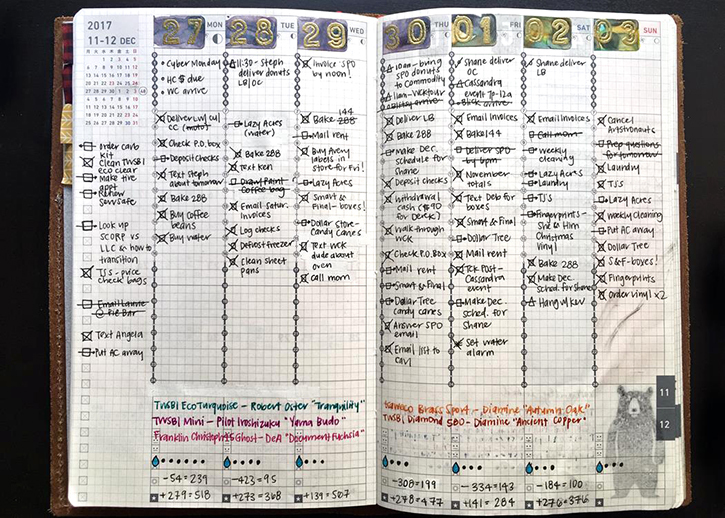 She basically does everything the same way as when she was bullet journaling, using the same symbols (triangles for events, checkboxes for tasks, bullets for notes) and migrating tasks. 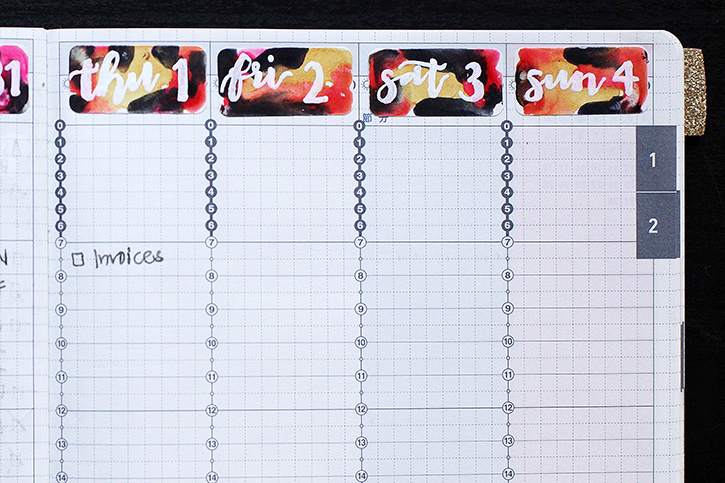 Her new system allows her to forward plan and saves time by not having to draw everything. 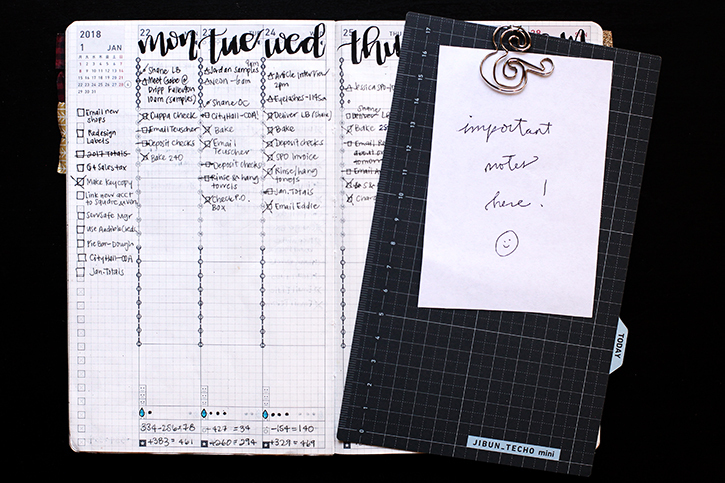 She uses a B6 slim insert for tracking spending, notes, and making lists that are only temporarily important, such as packing lists for travel. She still refers back to a Collections insert she keeps in a Traveler’s Notebook so she can see old-but-still-active lists or add any new collections that come up. Since opening her business has been a major priority, Jen hasn’t had a lot of time for much else. However, the one thing that she dedicates time to each day is her Morning Pages (a Nanami Seven Seas Writer). It is a goal for bettering herself, partly created as an excuse to use her favorite fountain pens every day! This habit has connected her to the journaling community. 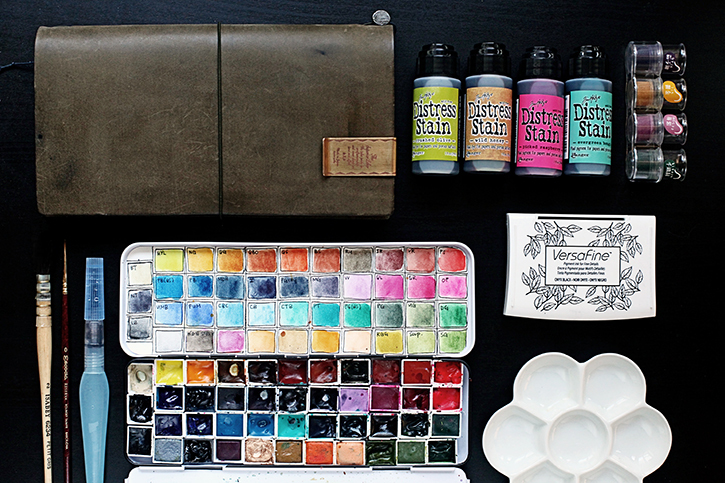 She started by watching YouTube videos on Traveler’s Notebooks and art journaling. She keeps her Morning Pages simple, only changing the pen she uses each day. 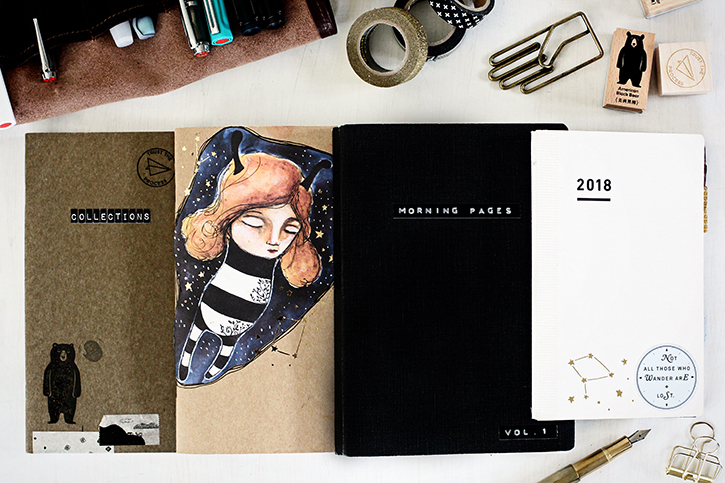 Her personal journal is a free-for-all where she writes, sketches, watercolors and glues in bits from her daily life. It has been her main creative outlet for over a year and is now a part of her life forever. Jen has always had a lot of creative hobbies and has dabbled in just about everything. Lately, it is her passion for journaling and watercolor sketching that fills her creative soul. 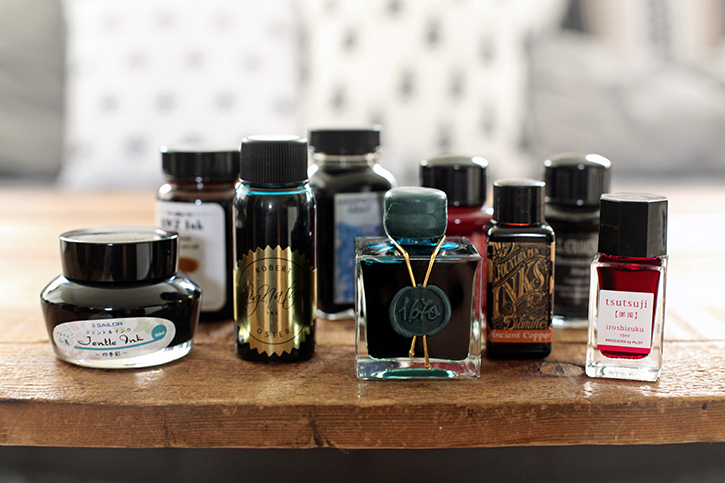 Her love for fountain pens and ink will always remain strong. Liz Steel’s YouTube channel was especially inspirational for Jen. In her videos, Liz shows that it doesn’t have to be super time consuming or complicated, a quick loose sketch and a wash of color can produce really cool results. Through Liz’s channel, Jen found the online art journaling community and hasn’t looked back since. She has hundreds of online creative sources that she turns to. Her go-to’s on YouTube (which she watches while she works) are Little Raven Ink, Ali Brown, MyLifeMits, Girl and Quill, My Little Journal, Lollalane, Johanna Clough and Boho Berry, to name a few! Her phone is full of screenshots of artsy things that are inspiring her at the moment. Jen has a love for the outdoors. She enjoys the peacefulness of nature. She finds it to be very energizing, especially when she’s feeling creatively drained. As a small business owner, it can be hard to take time off. For Jen, time off means totally closing up shop while she is away. Though she is aware that when a creative rut hits, it is a good indication that she needs a change of scenery and finds a way to make it happen. This often includes time for a leisurely walk with her partner among the trees and animals or getting away, even if for only a weekend. For Jen, a life well lived and loved is a life that is both fulfilling and challenging. She doesn’t see not working as her goal. She believes that work is good for people, but the challenge is to find work that means something and enriches life in some way. A life well lived and loved is about balance for Jen. And it is something that she has to consciously create for herself, striving to give her soul what she feels it needs when it needs it.